The Geckos of GW faced off the Southern Dolphins on a very warm Saturday morning. The Geckos easily defeated the Dolphins in five innings with one-sided final score of 24-2, with GW’s bats being very active. Almost half of the Gecko runs were scored in the top of the first inning. These runs consisted of many RBIs, and even an in the park home run when EJ Cali hit a long bomb, allowing him to clear two other Geckos and himself of the bases. MVP candidate Isaiah Nauta also hit a RBI double in this span of time. The Dolphins avoided a shutout immediately in the bottom of the first inning when Mateo Escalona hit an RBI double. A second GW offensive firestorm occurred in the top of the fourth inning, when eight more runs were scored. The first inning gave a thrill to everyone attending the game, as twelve combined runs were scored. Southern was outscored 11-1 in this amount of time. When the Geckos opened up shop in the top of the first, they immediately had a plan: swing and score. The first run was scored when Aaron Jamanilla stole home after hitting a triple a couple of minutes earlier. 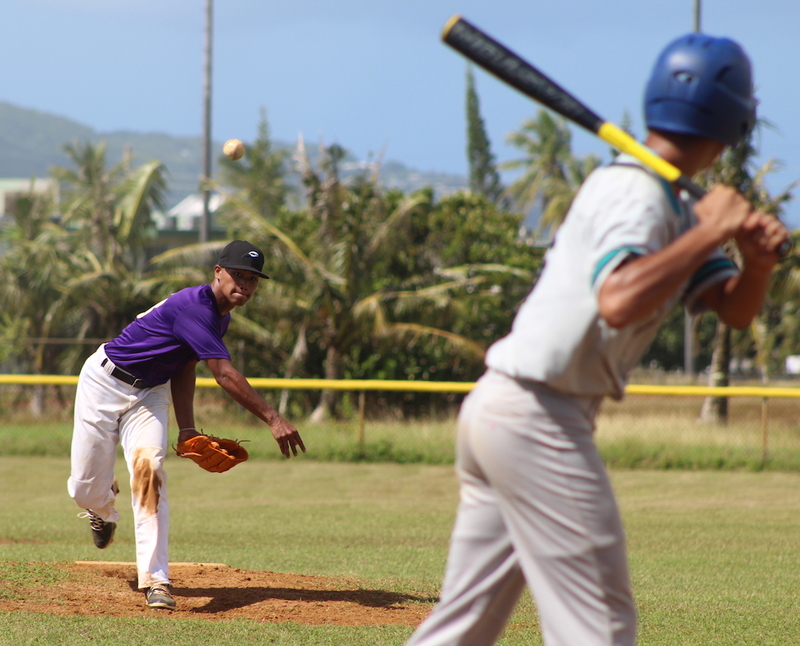 There were a series of RBIs hit by Isaiah Nauta, EJ Cali, and Arren Yatar which caused the score at the end of the top of the inning to be 11-0. Southern responded with a run of their own. This was when Mateo Escalona hit a double RBI to let Jonah Peredo score. The Geckos had the lead 11-1 at the end of the first inning. Only one run was scored in the entire second inning. This run was held responsible by GW’s own Aaron Jamanilla, who hit an RBI double, increasing the score to 12-1. GW scored two more runs in the top of the third inning. Both of these runs were scored when Joaquin Lujan hit an RBI single, allowing time for EJ Cali and Koby Pocaigue to run home and score. This made the score 14-1. Southern also scored their second and last run in this inning. This was accomplished by Drake Eber, hitting an RBI, thinning the game down to 14-2. As the fourth inning came into play, so did the Gecko bats. Eight runs total were scored, most of which were RBIs. Two of these RBIs were swung in by slugger EJ Cali, a Gecko who was having a performance to remember. Two more of these runs were registered on the board when two runners stole home. After this, the rest of the game went by quickly, as no more runs were scored, and both teams relied on defense. As the ballgame came to an end, the score was 24-2, Geckos with a huge performance against the Dolphins as the season wraps up, making way for the playoffs.